Dennis – the Bosun – has gone from a rank beginner to instructing in advanced coastal cruising. I took my first sailing lesson from Captain Dan and through his expert instruction quickly gained the confidence to skipper local sails in the Santa Barbara Channel. As my confidence grew so did my desire to increase my abilities. Captain Dan encouraged me to expand my knowledge and skills. He shepherded me through the full range of ASA courses – always with an emphasis on safety and ensuring that I gained a complete grasp of the principles being taught. Plus it was always fun and an adventure. Once I had completed ASA 103 (Basic Coastal Cruising), the real fun began. With each advanced certification, new possibilities opened up and and a desire for even more. Taking ASA 104 (Bareboat chartering) and ASA 105 (Coastal Navigation) opened up new worlds for me. 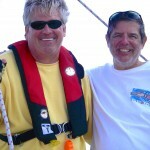 With ASA 104 Captain Dan brought his wealth of sailing knowledge and his personal experiences to teach me everything necessary to skipper a yacht in foreign waters . This included not only all the requisite technical sailing and anchoring instruction, but just as important, a wealth of practical experience about ships systems, provisioning and a host of common sense items that are often overlooked. This along with a comprehensive navigation course (ASA 105) gave me the confidence to charter boats in the Mediterranean, where we sailed the south of France, the British Virgin Islands and to Spain to sail Mallorca. With all of that behind me, I was ready ASA 106 (Advanced Coastal Cruising aka Heavy weather and night operations). And heavy weather we had with winds gusting over 50 knots and a swell that built to 10 or 12 feet. Captain Dan’s instruction brought it all together for me. 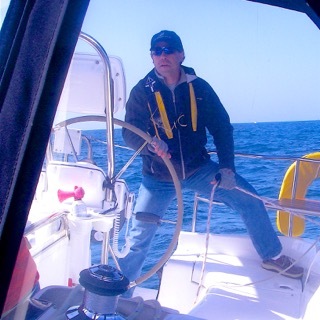 I have the confidence and the skills to truly enjoy my life at sea and experience the joy of sailing. Student comments may not mean much from beginners, but I’ve experienced some trying conditions and can tell you that doing ASA 104 and 106 in the Channel Islands is world-class training. Captain Dan took me from a guy who had never stepped foot onto a sailboat before to a guy who sailed his own 35 foot Bluewater boat from Ventura, Ca to La Paz, BCS and then around the Sea of Cortez – often solo! The lessons learned from Captain Dan while sailing with him in the beautiful Channel Islands gave me the skills and confidence to navigate the Pacific Coast to Mexico and explore that wonderful country by sea. 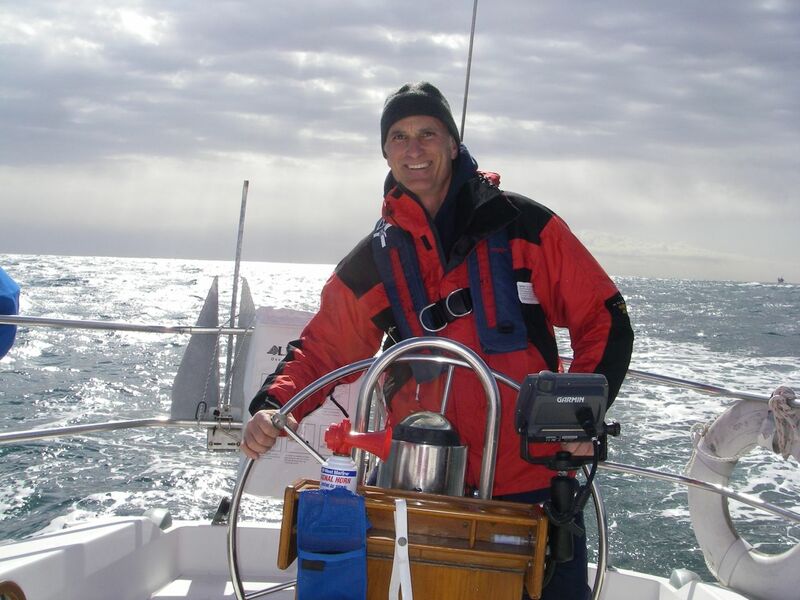 If you want to learn skills to sail through a raging 40 knot storm on your own, Captain Dan is the man to show you the way. I wholeheartedly endorse Captain Dan’s teaching techniques – in fact I staked my life on them and he did not let me down. Best of all, he made the entire process fun. 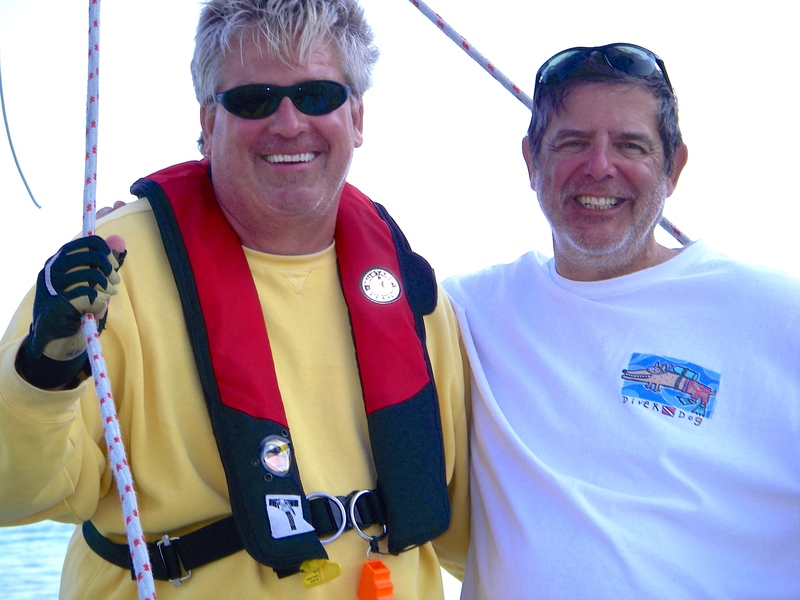 Larry already had a great deal of experience under sail, but he decided to ask Capt. Dan to teach his wife. 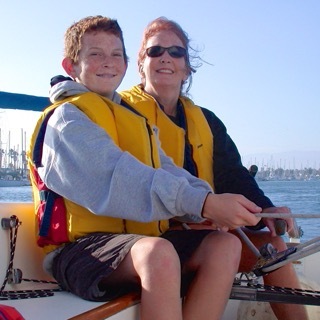 Regina and son Luke get a taste of sailing a small keel boat in the Pacific. 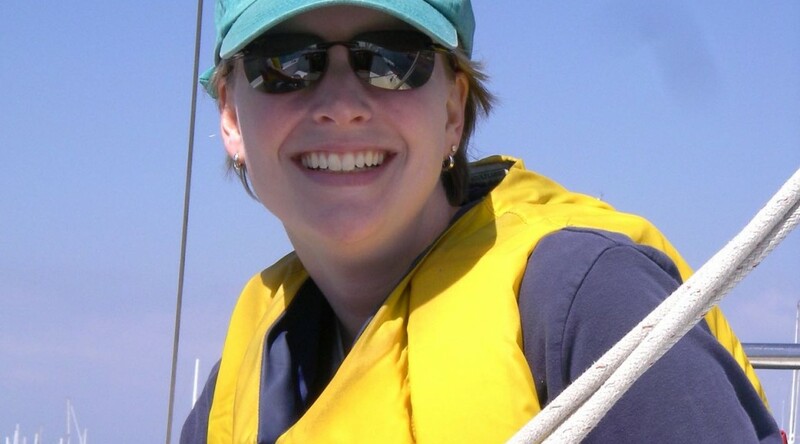 My father taught me to sail when I was 10 years old, and we went on several family vacations over the years having great experiences on the Chesapeake Bay. They were wonderful times. I wanted to be able to share those skills and time with my son but I clearly had not kept up with my sailing expertise, and the lack of a sailboat poised a difficult challenge! Enter Captain Dan Ryder! From the moment my son (age 11 at the time) and I met Capt. 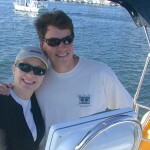 Dan he conveyed his passion for sailing through patient teaching and simple hands on direction. On one of our first tacks through the harbor we were escorted by a pair of dolphins. Capt. Dan was as overjoyed as we were! 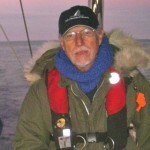 While emphasizing the seriousness and responsibility involved in ocean sailing, Capt. Dan never lost his enthusiasm and commitment to the fun involved. My son and I completed the ASA 101 and 103 courses, and spent many fun times sailing with Capt. Dan. Although my son’s interests changed through his teenage years, I am sure that his experience with Capt. 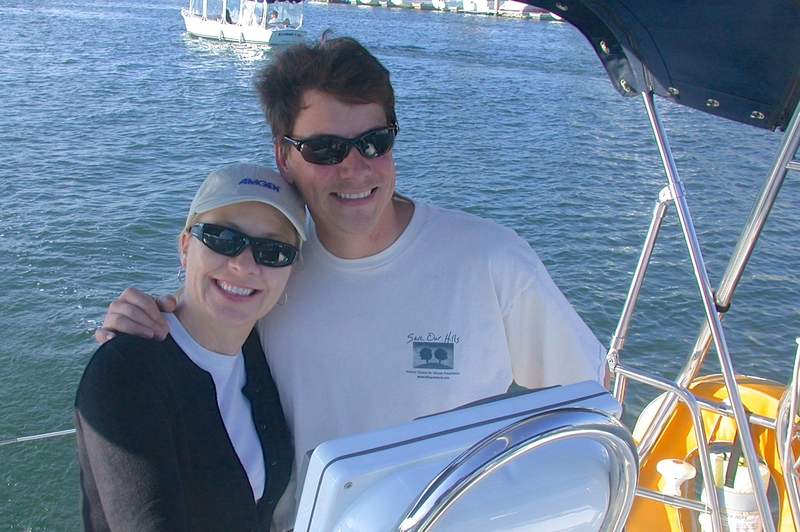 Dan made a lasting impression on him…as he is now an Ensign in the United States Navy! I cannot recommend Capt. 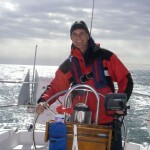 Dan highly enough – both as a person and a sailing instructor! Thanks, Captain! I took ASA 101 and 103 back to back with Capt. Dan. On day 1, I didn’t know the difference between a jib and a jibe, but on day 6, I was commanding Wiley, a Catalina 36, around platform Gina miles out in the Pacific. Captain Dan is an amicable guy, whom you can’t help but like from the get-go. But he is also demanding, which is a good thing. We’ve all had warm, fuzzy, coddling instructors with whom the learning is minimal. Not so with Dan. You WILL learn to sail, and you’ll learn the right way and the safe way. After a week’s instruction, I was still a neophyte, but if you were to place me aboard a 30 foot sailboat offshore, I’d get her home. Not with an abundance of aplomb or finesse, but I’d damn sure get her back to the dock. So if you really want to learn to sail, Capt. Dan is the man. Ken and Judy have done everything, including getting married aboard Sancerre. 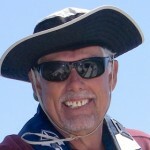 I have been an avid sailor my entire life and owned a 36 foot Hunter with a slip in Oxnard, CA. This is where I had the opportunity to meet Captain Dan. I had completed the initial ASA Certifications and enlisted Capt. Dan for instruction for ASA 104 Certification. I knew the importance of preparation (good tip) and looked forward to the on water three day circumnavigation of Santa Cruz Island under the watchful eyes of Capt Dan. It was the month of October and we experienced a variety of wind and weather including the need for full foul weather gear as well as anchoring challenges. Capt. Dan’s calm and pragmatic instruction to reinforce all that I learned prior to the sail was about as good as it gets. Add his enjoyable sense of humor, especially when we encountered several pods of grey whales and could not get to our cameras, and no criticism of my galley cooking, a down-right wonderful experience. Even better, Capt. 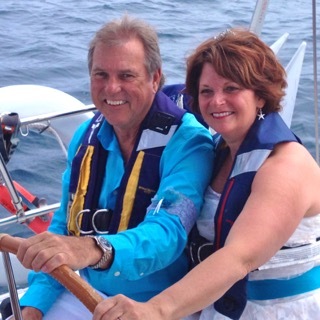 Dan married my wife and I on board Sancerre last July 2014 in the beautiful Channel Islands. You will truly enjoy him and his wisdom as an instructor.